The large size of PST files is one of the basic concerned amongst Outlook users. This is due to the size limitation in PST files which has been allotted to Outlook user. The larger will be the data of the PST files, the large will be the size of PST files. In this blog, we will be resolving these issues using quick Shoviv PST compress Software. PST stores it data in the form of two file formats i.e. ANSI and UNICODE. The PST file is in ANSI format it can only store up to 2 GB of PST data. On another hand, UNICODE is capable of storing in between 20 to 50 GB of PST data. But the actual problem arises when the PST is large in size or the user need to migrate a large amount of PST data. This kind of situation causes a problem because when the user exceeds the size limit in any of the two cases it may cause corruption of data. Therefore to avoid such situations the user needs the use of Shoviv PST compress software. What are the consequences of large size of PST files? System failure: Large size of PST data may cause system failure which results in the problem such as system hanging or slow performance. Data corruption: As discussed earlier, the large amount of data causes may cause problematic issues if the size limit is exceeded one such issue is the corruption of data. No manageability of data: A large amount of data may lead to management issues. 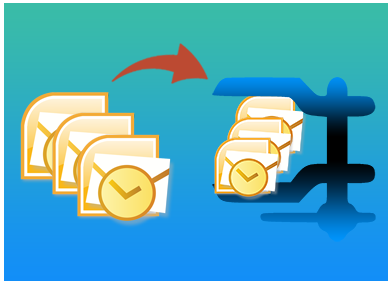 As a result, it gets difficult for the user to manage their respective PST files data. The Shoviv PST compress software is one of the most effective ways to compress PST files. PST compress software utility can easily compress single PST as well as multiple PST file at a time. One of the additional benefits that this PST compress utility provide is that while compressing the PST files it removes or excludes all the duplicate files. They do not consume a lot of users time as this software are enhanced with highly advanced algorithms which can quickly compress PST files without altering original data. The Shoviv software does not use any complex procedure for compressing PST files. Step 1: Installation of the software in user system. Run the setup and wait till the installation is finish. After the installation process is finished the user need to go to the add button and add the PST files that the user want to compress. The user can add two or multiple PST files from the add button. And select “Next”from the wizard after the selection has been done. After selecting the next option, the status screen will appear in which the user is provided with different options such as Target, attachment option, and mail options. The target option will allow the user to select the desired target where user wants to save their files. The mail option will provide the user to exclude duplicate items or will exclude deleted item based upon user choice. Thus, after the desired option is selected by the user. The user can select “Next” option and wait till the PST files get compress and then Finish the program. Therefore, by using these following steps the user can easily and quickly compress a large number of PST files without any complication. The Shoviv PST compress software guarantees the desired results to the user. They are quick, easy and have proven to be a reliable asset for the user. They are easily available online for the purchase. Therefore it is always recommended for the user to use PST compress utility for better result and save time. Free demo version of PST compress is also available which allow the user to compress first 25 items per folder from their respect PST file.